If you live in or around the City of Johns Creek, North Fulton GA 30096, you would have heard of the highly popular gated community of St Ives Country Club. This community of homes are built from 1987 to 2017+. 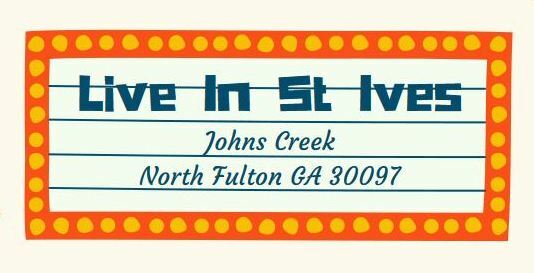 Located to just about everything and along the Chattahoochee River. List prices of homes, as listed in the Georgia MLS (Multiple Listing Service), is between $232,000 to over 5 Million. There are close to 740 homes in the neighborhood. Community amenities include a 24 hour gated entrance, tennis and pool pavilion. Home owners enjoy 16 hard (10) and clay (6) courts as well as a Junior Olympic swimming pool, kids pool, water slide and a playground. HOA (Home Owner Association) fees, at time of post, are $2,000 a year with an initiation fee of $2,500. The neighborhood is centered around the Tom Fazio designed 18 hole Golf Course that includes a club house with over 45,000 square feet. Location-Directions: North on Medlock Bridge. 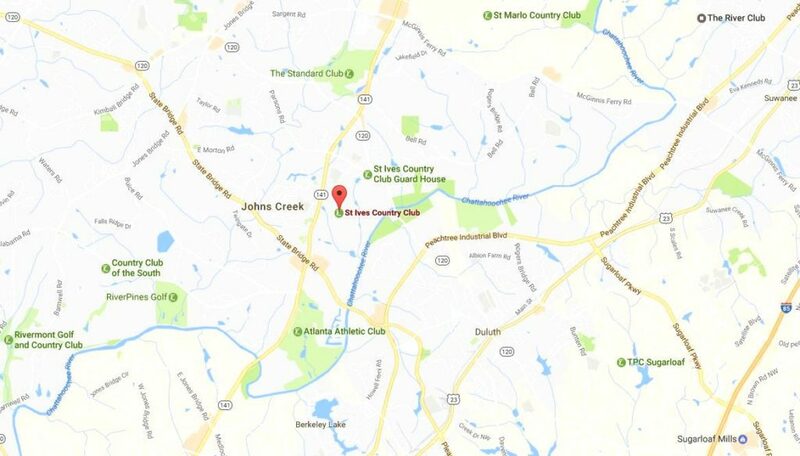 Cross over State Bridge and turn right into St Ives Country Club entrance-OR-From GA 400 East on Exit 13, 141, Peachtree Parkway to left into St Ives Country Club. Streets in the neighborhood of St. Ives include Amerden Ponds Court, Ascott Valley Drive, Ballybunion Dr., Bay Tree Lane, Bayhill Drive, Black Diamond Court, Blairmore Ct., Briton Park Court, Butler Park Ct., Butler National Drive, Castle Pines Drive, Champions Pointe, Colonsay Dr., Colonsay Court, Country Drive, Dalmore Dr., Eagle Creek Pointe, Firestone Pointe, Girvan Ridge Dr., Glen Castle Ct., Henley Fields Court, Jupiter Hills Point, Jupiter Hills Dr., Kennemer Court, Kilarney Lane, Kinderton Manor Dr., Millport Pointe, Moss Creek Plantation, National Drive, Oakland Hills Ct., Palmetto Dunes Drive, Palmetto Dunes Court, Pierrepont Isle, Preston Hollow Lane, Quaker Ridge Way, Royal Dornoch Dr., Saint Ives Country Club Parkway, Scioto Court, Shinnecock Hills Drive, Southampton Circle, Southern Hill Drive, Spyglass Hill Dr., Thorpe Park, Villamoura Way, Vintage Club Drive, West Counttry Dr., Wild Dunes Way, and Windsor Manor Ct. This entry was posted in Schools, Autrey Mill Middle, Schools, Johns Creek High, Real Estate In Johns Creek, Schools, Schools, Wilson Creek Elementary and tagged in Homes For Sale 30097, johns creek luxury homes, North Fulton Gated Community.